Ooooh, so romantic! When the Disney Store first opened in our area, I went nuts buying character snow globes. Now I'm a lot more choosy. 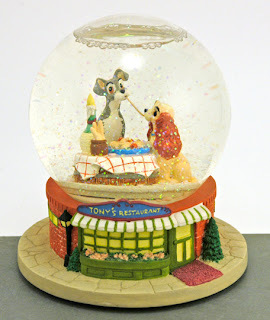 This was probably one of the first Lady and the Tramp snowglobes they had at the store. I wonder how many different style snow globes they've made of this scene?